i was browsing around an online blogshop and not the pretty clothes caught my eyes but one of the props instead. 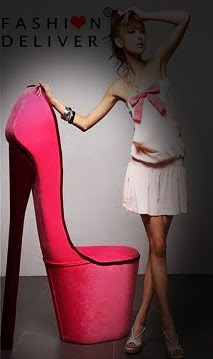 a pink high heel chair! fascinating! 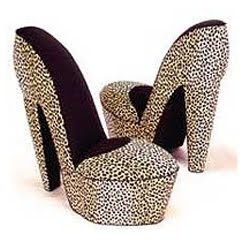 tried google around to see if i can dig out the designer but i only found these leopard-printed pair: looks much more comfortable than the pink ones but not as hot though. will do, will do.